I’m just going to say it: you need to read this book. It is an incredible journey of love, fear, and humanity. 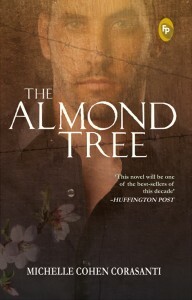 I climbed our almond tree. Abbas and I had named her Shahida, “witness,” because we spent so many hours in her watching the Arabs and Jews that she felt like a playmate deserving of a name. The book is divided into four parts, starting in 1955 and ending in 2009. Ichmad Hamid has grown up in his formative years in poverty in Israel, but through help from a few combined with his mathematical and scientific gifts, he is able to overcome Israel and go to America to persue his dream, to fulfill a promise to his father. The novel opens with Ichmad setting readers up for the book – and the death of a loved one. Israel is a place of restriction and fear, and Ichmad’s family, as all other families in his village, are struggling to survive. They pay taxes, but get no city infrastructure or sanitation systems because they are not considered a city. The people have a tradition and friendliness about them that is strained when the soldiers come. They are regulated in everything they do: you must get permits to build a house, you must get permission to travel anywhere, there is a strict curfew imposed and if you are out after curfew, you are either arrested or killed. Houses are raided and bombed. Prisoners are taken. Family members are killed. They live every day, almost every moment, in fear. I was caught between the devil and the fires of hell. Ichmad’s parents try to compensate for the postponement on their children, and they try to normalize their life in Israel. His family is surviving, and celebrating another year for Ichmad. Unfortunately, Ichmad makes a terrible mistake that costs his family their father, who is arrested and imprisoned for being a terrorist. This weighs heavily on Ichmad and his brother Abbas, who are now forced to provide for the family. Ichmad and Abbas are very close, only being a year apart, and Abbas nearly worships Ichmad. Abbas follows in Ichmad’s shadow, and their relationship is beautiful to watch unfold. Ichmad cares for Abbas and tries above all else to do what’s best for the family, and for Abbas. Ichmad does get to visit his father in prison, and it is a heart-wrenching reveal of the time. It is his father’s courage and love that keeps Ichmad moving forward in life, even if it means breaking his family’s heart. Above all, he listens to and abides by his father’s wishes. Courage, I realised, was not the absence of fear: it was the absence of selfishness; putting someone else’s interest before one’s one. I’d been wrong about Baba. He wasn’t a coward. How would we survive without him? When Ichmad’s luck starts changing, he’s off to university and surrounded by some good friends. He faces some opposition at first, but overcomes it by helping others. This kind of paves a way for him with the soldiers and guards on campus. But at the end of the semester, Ichmad is accused of something by his professor, who has been in and out for military duty, and is expelled. Turns out his professor knew who Ichmad was the moment he stepped into his classroom on the first day, and he is not letting Ichmad live down the past, or the fact that his father is a terrorist. “Sharpest mind I’ve ever encountered,” he said. My lips trembled and my eyes welled up. Suddenly, we weren’t a Palestinian and an Israeli, we were two mathematicians. The hatred between the Israelites and Palenstinians, the Jews and Arabs, is overwhelming. It is the common thread and core of the entire novel. Ichmad has good friends who can see past this, for the person he is, and one saves him from ruin, but at a cost. Ichmad can continue, and in fact is responsible for the decision and fate of Professor Sharon. Through science, and a desire for fame and improvement for humanity, Professor Sharon placates Ichmad to conduct research for him. It is not until Ichmad brings some new and important ideas to the professor that he starts gradually accepting him, but very begrudgingly. They have several conversations about their lives, and the way things are. When Professor Sharon marries Justice, he starts changing his mindset of life, and his working relationship and personal relationship with Ichmad is transformed. For a while, when things were going well for Ichmad in America, it seemed as though Ichmad was far removed from this. When he meets Nora, an advocate for peace that is a friend of Justice, he has found the woman he is meant to be with. There’s just one problem: his parents will never accept her, and it weighs heavily on him. He denies Nora’s outpouring of love and affection on numerous occasions because of his internal struggle with remaining true to his family. Kind words come from Baba to lighten Ichmad’s heart, and with the guiding hand that Nora’s parents have had in her life, leading her to a life of service to humanity, kindness, compassion and equality for all, they see no obstacle in their way. Unfortunately, there are hypocrites in the world, and Nora realizes she has been raised by two who preach equality, but do not believe in it. They are empty words of consolation to her. Ichmad’s mother and brother Abbas also cannot accept Nora, for she is a Jew. Although she is American, she is still a Jew. Abbas turns his back on his family, on his brother, and it is a heartbreaking moment that lasts nearly a lifetime for Ichmad. Ichmad is again faced with a choice he must make, this time that his parents are more or less forcing on him. It is a choice that Ichmad is devoid of, he has become so detached from life. He agrees to follow his parents wishes, but is listless in his new life. His only care is embarrassment, almost shame. At this point in the novel, I lost respect for Ichmad, and I really did not like him. I could understand his pain, but he was almost cruel in the revelations of the changes in his life, and the ways in which he described and saw others. Part I concludes with Ichmad winning a scholarship to university. His mother is scared and does not want him to go, fearing the family will not survive. It was a hard choice for Ichmad to make, but he held onto his father’s wishes for him. Part II concludes with Ichmad embracing his dream and going to America to continue his physicist work. This is also when Professor Sharon opens himself up and truly begins his friendship with Ichmad. Part III concludes with Ichmad and Yasmine trying to have children, going about Western methods and finally going about their heritage’s traditional methods, and Ichmad overcoming his embarrassment of Yasmine by finally allowing Menachem and Justice to meet Yasmine. This is when Ichmad redeemed himself in my eyes in the way he talked and described Yasmine as a mother. I saw Yasmine in a new, beautiful light and this is when their marriage is solidified and Ichmad allows himself to start loving Yasmine. Part IV leaves readers with a sense of hope. Ichmad is trying to make up for all the time he’s lost with Abbas, and with Yasmine he is trying to get his entire family together. He is sixty-two years old at this time, and he and Yasmine (and eventually the entire family) travel into terror-ridden and restrained Gaza. This novel starts off with pain, disparity, poverty, oppression, loss, death, fear. Ichmad, and by extension his family, goes through so much by starting at the bottom with nothing, and through Ichmad’s scholastic gifts he is able to improve the lives of his entire family. He loves his family and lives by his father’s values and beliefs, and wants more for them. He doesn’t want to change them, despite the changes he underwent when he came to the United States, which I applaud. Instead, he just wants to make their lives better with the small conveniences that most take for granted: a strong structure for a home, sanitation, hygiene, indoor plumbing, education. Ichmad has put his younger brothers and all thirteen of his sisters’ children through university. He wants them to have the opportunities he has had, he wants to provide for his family, but he always thinks of Abbas, and irrevocable day he discovers how to find him in the Gaza underground. He has done everything for his family, but he can no longer ignore Abbas absence from his life, and the extreme danger he is in. The novel ends with Ichmad in Gaza, with all of the same terms as the beginning of the novel: pain, disparity, poverty, oppression, loss, death, fear. Through Abbas’ choices, Ichmad may not be able to save his brother, but he is determined to try, and to reunite their family. 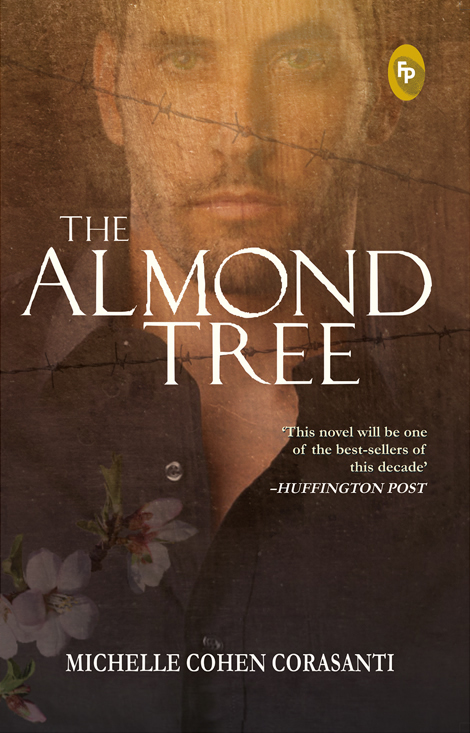 Through all of this, the almond tree is there. It was there as a playmate for Ichmad and Abbas when they were little. It was there to provide for the family after Baba was arrested. It was there to provide shade and shelter when the family had nothing else. It was there when Nora tried to protect his family’s home. It was there through all of the pain and celebrations for the Hamid family.